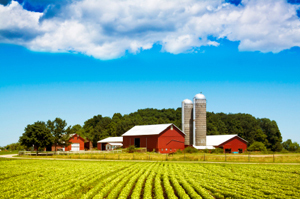 What is an Account Distribution (Overhead Distribution) in Farm Accounting Software? Overhead expenses are those production and non-production costs not readily traceable to specific profit centers or production center details. Although overhead expenses are not directly related to any specific area of your business, they do play a part in the profitability of each area. Account distributions can be used to automate the process of expensing overhead to profit centers or production center details. Expenses can be distributed by percentage, by acre or by head, and can be distributed at the time the expenses are entered or later when you know exactly how they should be distributed. A distribution can be set up that distributes all overhead expenses, or distributions can be set up for various scenarios. For example, you could distribute utility costs to the various entities of the business. Distributions can also be used to distribute unallocated revenue, such as a government ag payment. Overhead expenses, such as insurance expenses, will be distributed to all profit centers based on each profit center’s percent of total gross revenue. In our example, dairy is 55% of the operation. Crop is 45% with two crops of corn (60%) and soybeans (40%). $550 insurance expense would be allocated to dairy. $270 insurance expense would be allocated to corn. $180 insurance expense would be allocated to soybeans. Allocate your overhead expenses correctly with account distributions, and you’ll have a better idea about your true product costs. There are two things you know for sure about payroll. 1. Employees want their checks on time. 2. The government wants to receive their tax payments on time. Both are serious and important reasons for choosing wisely when selecting payroll software or a payroll service. Making the mistake of choosing the first or cheapest payroll option can result in frustration, and more importantly can hinder your ability to pay employees and the government on time! Here are some real things to look for when searching for a payroll company. Service. Are you frequently in a hurry to get payroll completed? Many businesses are! What happens when you run into a problem the day that you are doing payroll? Maybe, at the last minute, you need to set up a brand new pay code or an employee garnishment and you need some help. Who will be there to help you? 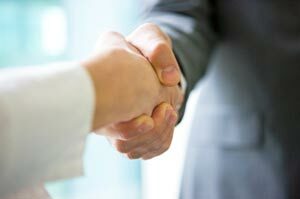 Be sure you choose a payroll company that offers excellent service. And make sure that service team is available and knows what they are doing! While you are sitting there reading this blog post, it might not seem important. But when the time actually comes, you will be thankful for choosing a payroll company that can really help you when you need it. Options for paying employee taxes. You need to pay employee taxes by a certain date. If not, your company will be faced with dreaded fines! Be sure you can get the information you need out of your payroll system, so that you can send tax payments to the appropriate party in a timely manner. More and more states are requiring tax filing to be done online, instead of via printed forms. Make sure you have the options within your payroll software that can help you accomplish this! Of course features are also extremely important within your payroll software or system. Once you find a payroll system that has all the features you need, be sure that company can also provide the service and tax filing capabilities you need to pay your employees and make tax payments in a timely manner! Need a Custom 401K Export? Thousands of companies nationwide are using CenterPoint Payroll Software, and there are also many companies that administer 401K/Roth investments dollars. Employers need to report employee 401K/Roth deductions and the employer matching benefits to these plan administrators. The plan administrator normally prefers to get the employee and employer matching dollars reported on a pay period or monthly basis in a unique CSV or Excel file format. The required file formats can vary among different 401K management companies. If you need to pull out a unique set of data, how will you handle it? Red Wing Software has a tool available for use with CenterPoint Payroll that allows the Red Wing Software staff to create a file export to match your 401K/Roth administrator’s unique format. 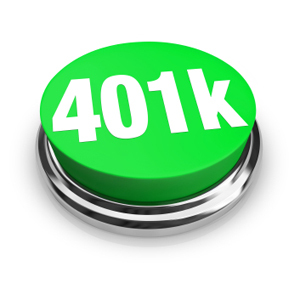 If you need a custom export for your 401K, give us a call to discuss whether the tool would work for you. Our standard tool can handle 90%+ of custom 401K exports. However if the file format required by your 401K administrator is more complex than normal, we still may be able to help. Contact Red Wing Software to learn more! Call 800-732-9464 or e-mail info@redwingsoftware.com. I don’t have much direct contact with our customers at Red Wing Software, but I like to think that what I do has a big impact on your experience with us. My official title is Manager of Information Systems. That’s a fancy way of saying it’s my job to make sure everyone here has the hardware, software and information resources to do their job as effectively and efficiently as possible. I try to ensure your experience with Red Wing Software feels personable, like you are working with a small company, but also give the impression we are also efficient and professional like a big company. When I am not at work, I like to spend time outside, preferably on a bike. 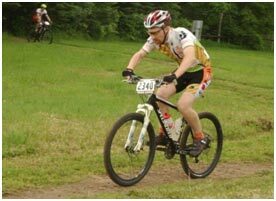 My son and I ride and race bikes as often as we can and I am involved in hosting several bike races every year here in town. We travel around the state in the summer to ride in as many bike races as possible. For me, biking is not only a fun way to get exercise, it also a great way to unwind after a day at work. It’s also a good excuse to get out into the woods or find some winding country road. The city of Red Wing has some of the best biking available in the upper Midwest and I try to take full advantage of it. I have been directly or indirectly part of Red Wing Software since I was 10. 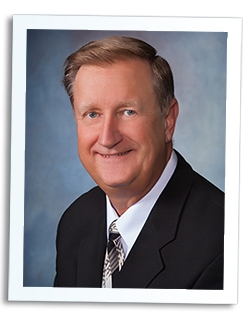 My father, Lyle, was one of the original founders of Red Wing Business Systems, which is one of several companies that have joined forces over the years to become Red Wing Software. Being involved in the early years at a small company can be much more than a full time job, it’s a part of your entire life. I remember once, on a family trip to my grandma’s house, stopping off at a customer’s house so my dad could help with a problem that couldn’t be solved over the phone. While the support department doesn’t offer house calls anymore, I like to think we still go above and beyond to help our customers, when needed. I spent some of my youth after school putting product manuals together or duplicating diskettes or any other odd job that needed to be done. When I left home for college, I never thought of coming back and making a career at Red Wing Software, but life takes some funny paths at times. Later, when the opportunity to come to work at Red Wing Software in the support department was presented, I took it. Red Wing Software has “grown up” since the days of the Radio Shack TRS-80 computers and hand-collated, 3-ring manuals that I remember as a kid, but it’s still a company that feels like family. As you probably already know, January is the busiest month of the year at Red Wing Software. It is also a busy time for many of our customers with year-end reporting, installing new tax updates, and getting W-2s out to employees. It was especially challenging this year with the late decisions by Congress to change federal tax tables after the first of the year. It is a written company policy that no one takes extended vacations in January. We want to make sure that we are fully staffed to handle the call load. Each year, we hold several planning meetings to make sure everyone has a chance to provide input on how we help each other be as efficient as possible. Our Red Wing Software University created several videos to include in our help files, and on-line, showing some common processes that need to be accomplished at year-end. During the first two weeks of the year, we have a local restaurant bring lunches in for everyone in our Red Wing location. This keeps us fully staffed throughout the lunch hour. Plus, it keeps people from having to go outside to get lunch at the coldest time of year. Everyone in positions that don’t normally deal directly with customers, put on multiple hats, and pitch in to help in any way they can. Marketing people get up-to-speed on handling the front desk phones, developers work on problem data for customers, sales people and the design team handle professional services requests, and the list goes on. I don’t normally like to brag about our company. Okay, that’s a lie. I love to brag about how hard our employees work to take care of our customers. Each year we look for, and find, new ways to improve our services during this busy time. In the rare event that we did not handle your request as quickly as you (or us) would have liked, we sincerely appreciate your patience and understanding.